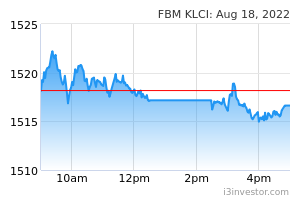 klchai123 @ivan9511, wtk with NTA rm2.33, improving financials, pvt at rm2 is unfair but reasonable. lets hope it is real! 507596689729039 According to J4 Investment Capital on 31-3-19, WTK is a seriously undervalue counter. 507596689729039 Banyak ayam buang tahi mera-rata, nak lap pun tak sempat ! yesyesyes i am still waiting outside .. please throw out ya ..
yesyesyes dont cut queue pls .. haiyoo ..
yesyesyes pls come to 60c again ..
yesyesyes I cry no tears now . 507596689729039 This is long term game. Those play short better run away faster. yesyesyes no small legs sell means is good .. just big leg throw out only ..
yesyesyes wait next week .. today no more show i think ..
yesyesyes cant break the resistance .. amitofo .. come down more pls ..
507596689729039 Views vary from person to person. Sorry, I think it will up on Monday. Johnmajor WTK is worth at least RM1.50 per share. Current price is at serious discount. For long term investor, this counter is a rare gem. 507596689729039 It'll up further & further. Better buy now b4 it shoot higher & higher. Highest point : RM1.00. 507596689729039 Just now highest RM0.685: 40 k done. king36 How long is long term? This counter is not share-holder friendly. yfchong Coming q it is impressive...? king36 I have watch this share for quite some time; always ICBC. A pale comparison to FLBHD. See id it can get back to its $1.40 price?